Folksinger and storyteller Tim Van Egmond will perform for families on Saturday, February 2, 2019 at 10:00 am at the Enfield Public Library. Known for his spell-binding talent and dynamic style, Van Egmond will be telling tales and singing songs to celebrate the winter season. These will include tall tale “whoppers” about the cold weather, an Iroquois tale in which Rabbit sings a magic song to make it snow, a dreamy song based on Jane Yolen’s famous picture book “Owl Moon,” and more. Van Egmond will accompany himself on a wide variety of traditional instruments, including mountain dulcimer, hammered dulcimer, guitar, and limberjack (a dancing wooden puppet that taps out a rhythm on a paddle board). 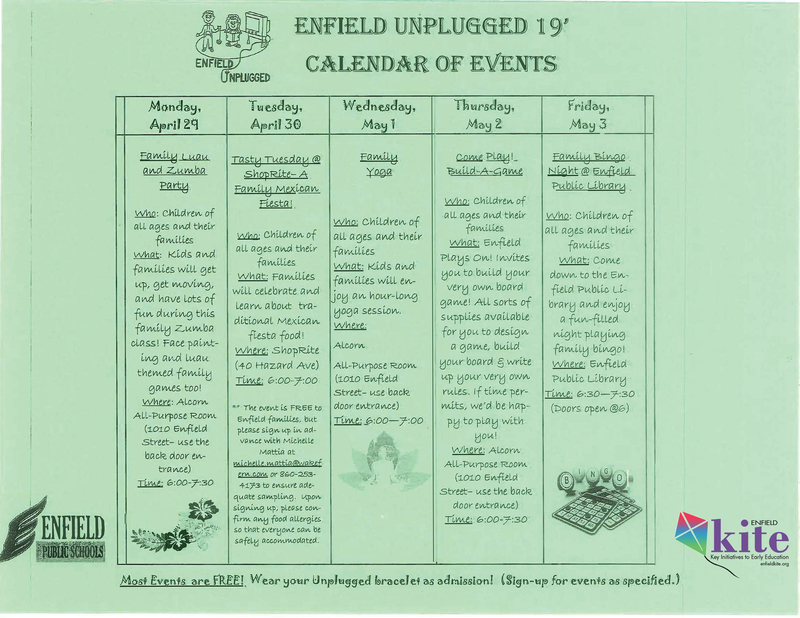 This drop-in program for the entire family is sponsored by the Enfield Culture & Arts Commssion. 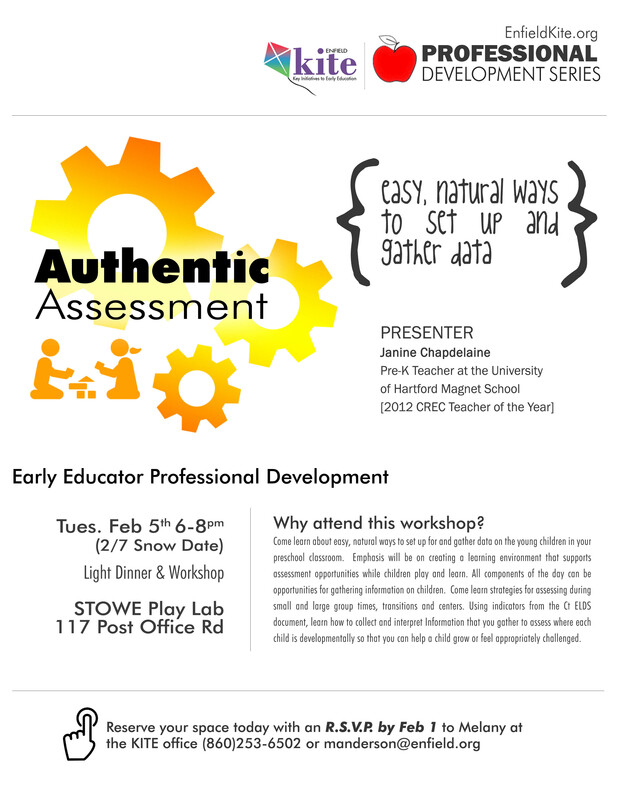 Come learn about easy, natural ways to set up for and gather data on the young children in your preschool classroom. Emphasis will be on creating a learning environment that supports assessment opportunities while children play and learn. All components of the day can be opportunities for gathering information on children. Come learn strategies for assessing during small and large group times, transitions and centers. Using indicators from the Ct ELDS document, learn how to collect and interpret Information that you gather to assess where each child is developmentally so that you can help a child grow or feel appropriately challenged. Join us for our monthly KITE meeting at the Stowe Early Learning Center Play Lab. Dinner and childcare is provided. Please rsvp to manderson@enfield.org. Join us Tuesday, February 12th at 6:30 pm for one half hour of nursery rhymes, songs, and finger plays. This is a drop-in program that is designed to promote early language skills for ages birth to twenty-four months, accompanied by parents or caregivers. Using your choice of building materials, LEGO®, DUPLO®, Keva Planks® or Roominates® see what you can build in an hour at the Builders Club program at the Enfield Public Library on Friday, February 22, 2019 @ 3:45. This is a drop-in program. Work independently or with friends. Join us for a movie matinee showing of Smallfoot rated PG at the Enfield Public Library on Saturday, February 23rd at 1:30 pm. An animated adventure for all ages, with original music and an all-star cast, Smallfoot turns the Bigfoot legend upside down when a bright young Yeti finds something he thought didn’t exist—a human. News of this “smallfoot” throws the simple Yeti community into an uproar over what else might be out there in the big world beyond their snowy village, in an all new story about friendship, courage and the joy of discovery. Bring your own snacks to this drop-in program.